Liberate yourself from the everyday with Le Specs’ latest collection 'Escape to the Exotic'. 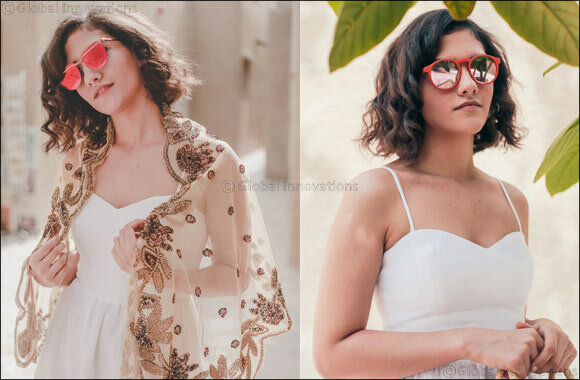 Dubai, UAE, May 14, 2017: Capturing sundrenched days in the tropics, bold classic & confident summer styles have been updated with a modern and unexpected twist on colour and detail. Global experts in forward-focused designs and innovative detailing, Le Specs continues to build on futuristic finishes across the 22 new style collection. Bringing together signature fashion and functionality, Le Specs extends its focus on technical details such as polarised lenses and metal application top-bar detailing, in vibrant pinks and golds. This stylish mix is seen in shapes of the futuristic La Habana and an updated softened aviator style of Liberation. With introduction of a new colour palette, including a striking contrast of firecracker red lenses pared back with translucent frames. Lenses of clear blue skies and pink and gold hued sunsets accompany chic black and tortoiseshell tones to round out the collection colour palette. The contrasting combinations of lens and frame speak to a mood of endless vacation, demonstrated perfectly by the limited edition The Prince created in collaboration with the W Hotel Maldives. The exclusive vibrant blue The Prince limited-edition will be sold exclusively in the W Maldives boutique. The collection was inspired by the luxe island nation and shot onsite across the sands of the W Hotel Maldives and nearby tropical islands, surroundings that perfectly reflect the spirit of a tropical escape and the dream-like energy of summer that Le Specs embodies. The iconic Australian sunglass brand continues to build on its international success, now stocked in over 40 countries worldwide. Le Specs has been spotted on cult influencers Gigi Hadid, Kendall Jenner, Lady Gaga, Olivia Palermo, Rihanna, Zayn Malik and Sofia Richie.